When Will We Receive Our Income Tax Check? If you're owed a refund on your tax return and you're like most Americans, the first question you probably ask after submitting your return is when will your refund arrive. The IRS has standard guidelines with regard to how long it should take to process your return but there are some occurrences which could delay the processing of your return for days, weeks and even months. The time frame for receiving your income tax check usually depends on whether your return was filed electronically or mailed. The processing time frame for e-filed returns is 10 days while the time frame for mailed in returns is six to eight weeks. Direct deposited refunds go into your bank account on the same day while mailed checks could take seven days to reach you. If you are expecting a refund from an amended return, the time frame is eight to 12 weeks. If you are expecting a refund as the result of an IRS audit, you should check with the IRS examiner for the date on which your refund will be mailed. There are a variety of errors which could delay the processing of your income tax return. While basic math errors are usually corrected automatically and do not result in a delay, other mistakes can add weeks or even months to the processing of your income tax return. For example, if you enter an incorrect Social Security number for yourself or one of your dependents, the IRS will send you a letter advising you to call its office and provide the correct number. Your return will not resume processing until the Social Security number is corrected in the IRS system, causing your return to be delayed. If you want to check on the status of your income tax return you can go to the IRS website and click the “Where's My Refund” link. Once you click the link, you'll be prompted to input the dollar amount of your refund and your filing status, after which time you'll be provided with a refund date. Also, you can call the IRS directly at 800-829-1040 to speak with a customer service representative. Before calling, retrieve a copy of your income tax return because you will be asked a series of verification questions for security purposes. What Does "Federal Return Status Accepted" Mean? After I Do My Taxes How Fast Can I Get Them Back? If your refund has been lost, stolen or destroyed, you can file a claim with the IRS after 28 days has elapsed. You will need to call the IRS at the customer service number referenced in Section 3; the IRS will mail you Form 3911 to complete and return. After the IRS receives your 3911, it will begin an investigation as to whether your refund has been cashed. 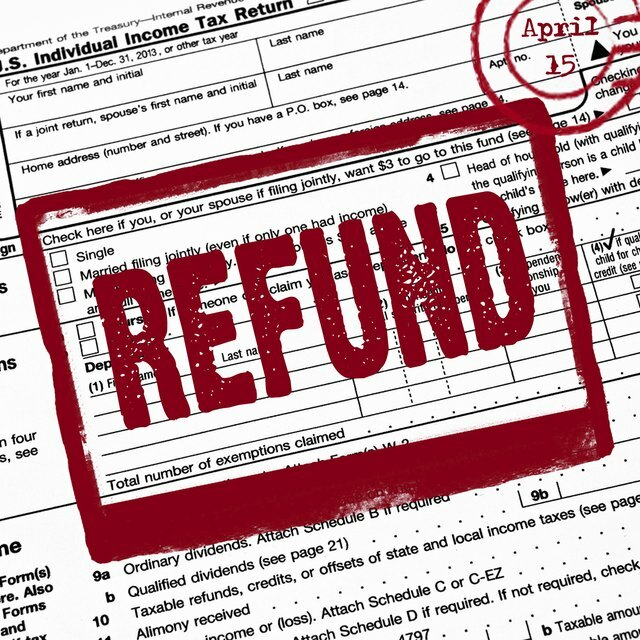 If the refund has not been cashed, the IRS will reissue your refund check. If the check has been cashed, the IRS will launch a more detailed investigation.